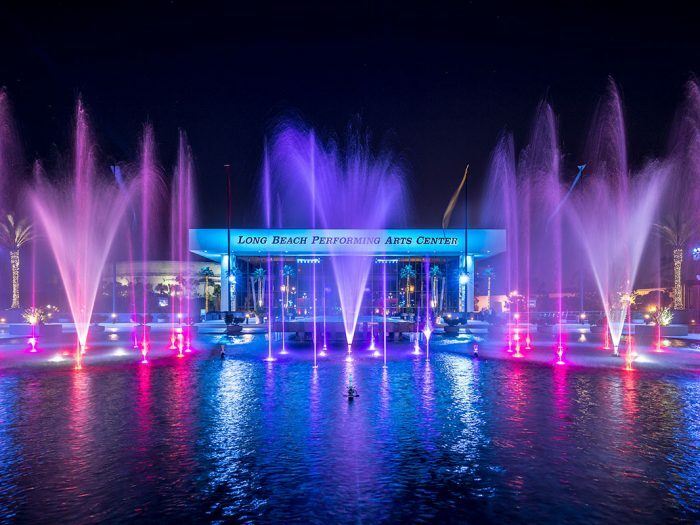 Located in southern California, the plaza outside of the Long Beach Performing Arts Center serves as a grand entrance for both the city’s theatre venue as well as the adjacent convention center. 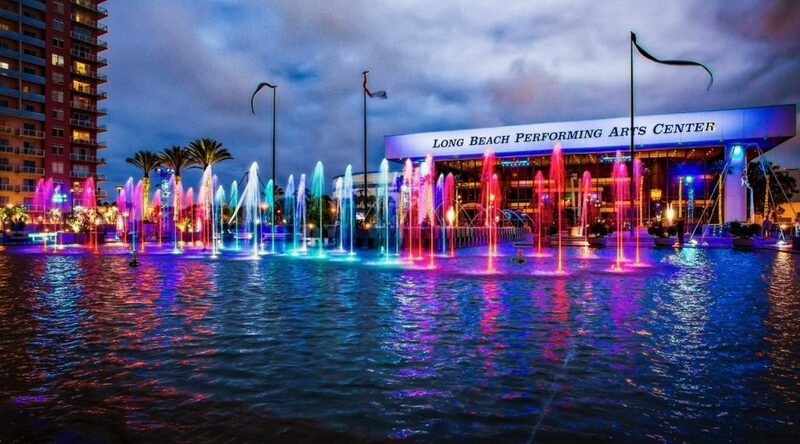 The newly renovated show fountain features more than 130 nozzles and underwater color-changing LED lights across 15,000 square feet of an upper and lower basin. Every night, the plaza hosts a dazzling fountain spectacular choreographed to music, and the fully-programmable fountain can be color-customized for private parties or citywide celebrations. 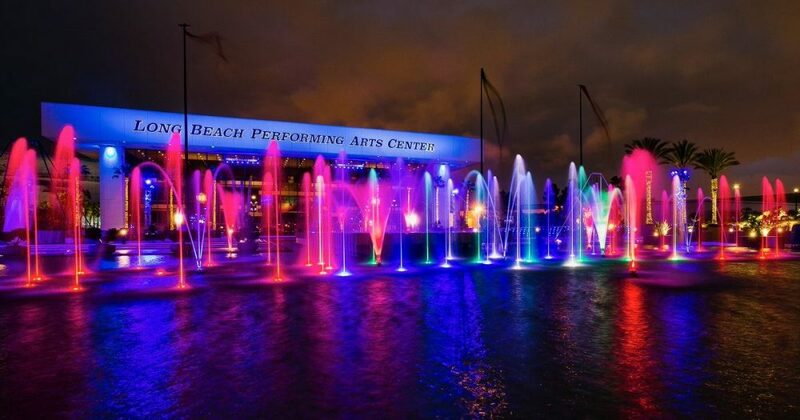 For this project’s choreographed show fountain, ADE provided hydraulic, structural, filtration, electrical and chemical system design and engineering services, as well as show programming and choreography.